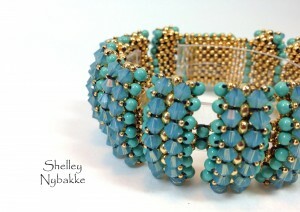 You won’t want to miss this brand new class with Shelley Nybakke! Bit O’ Bling is indeed that….and MORE! 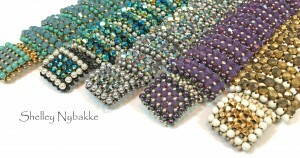 Shelley is a rock star in the bead world and this project is stunning….learn to make it right here at Funky Hannah’s! Shelley will be here with this project on Saturday September 10th from 10am-4pm. Class fee is $90, kits will be available for purchase from Shelley the day of class. A materials list will also be provided. This is an intermediate level class, students need to know right angle weave.